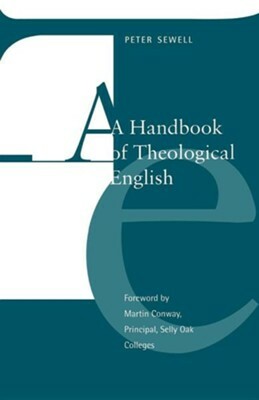 This helpful book offers a clear guide to the concepts and language used by contemporary theologians, and should be of particular use to students to whom English is a foreign language. It takes a range of key themes in current Christian thought, from Christology to healing and spirituality, there is an introduction and outline to each topic covered - including relevant bible passages - followed by a reading section that makes extensive use of authentic texts. There are numerous exercises, self-tests and discussion questions, with a useful glossary at the end. I'm the author/artist and I want to review A Handbook of Theological English.